An exploration hike of medium difficulty and great naturalistic and landscape interest. 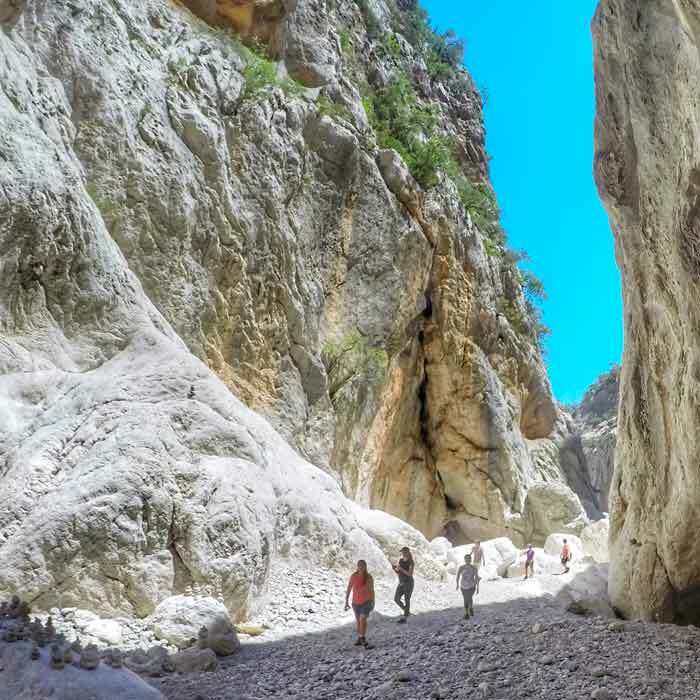 Walk with us alongside Rio Flumineddu and cross a forest rich in local vegetation and aromatic plants to experience the beauty of the Gorropu Canyon trails. All participants joining this tour should be in good health conditions and used to mountain walks, as we will be hiking for about 6 hours (including return), for a total of approx 14 kms. 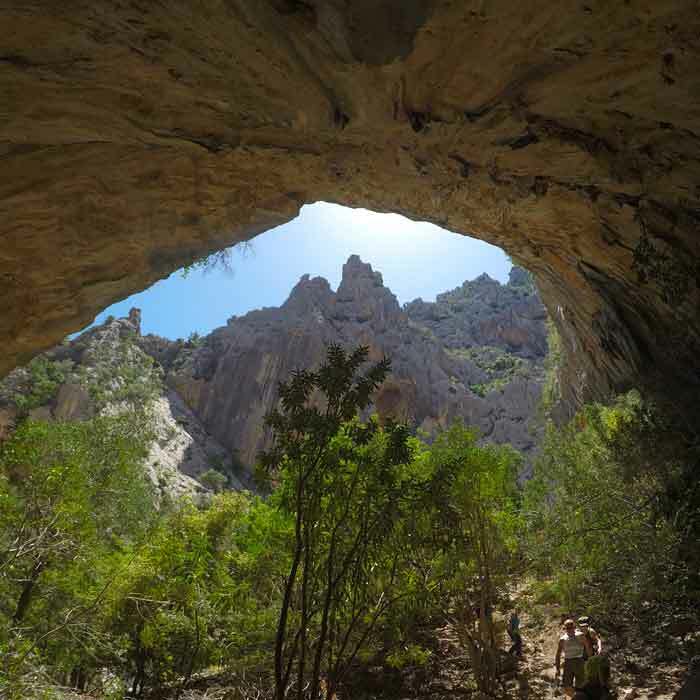 There are a few ways to access one of the most spectacular canyon in Sardinia, the Gorropu Canyon. We will start our tour at Dorgali’s “sa Barva” bridge. After walking alongside Rio Flumineddu, we will walk for about 6 km before reaching the canyon entrance. Once we arrive to the canyon entrance we will keep following Rio Flumineddu while surrounded by a spectacular landscape, amid the canyon’s rock walls that reach up to 500 meters in height. The path inside the canyon is about 1.5 km long, and marked with 3 different colours according to the degree of difficulty: the green route is quite simple, the yellow of medium difficulty, while the red is reserved for more experienced mountain hikers. Before heading back following the same entrance path, we will have a picnic in the canyon. 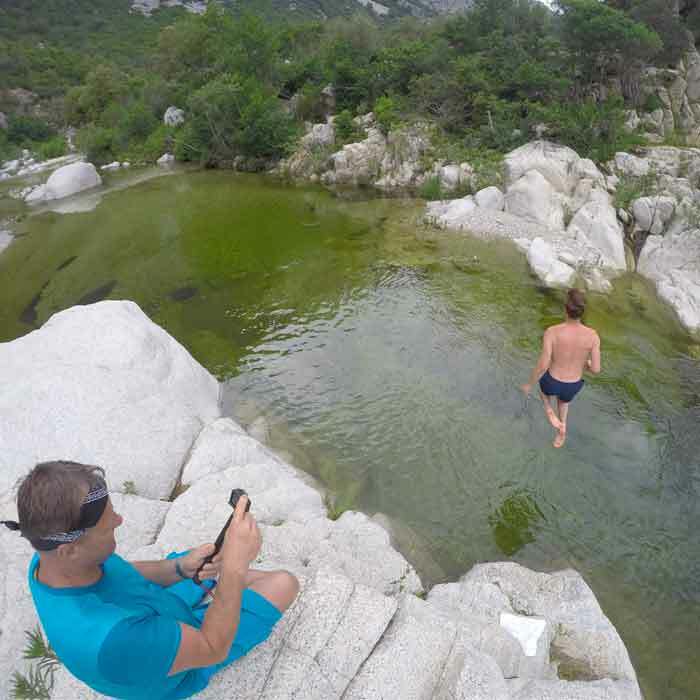 On our way back we will take you to natural swimming pools by the Flumineddu river, where tour participants will be able to take a refreshing bath before the final return hike. Suggestions for this tour: Wear good walking shoes (no open shoes, sandals or flip-flops) and comfortable clothes. Bring also beachwear and towel if you plan to swim in the river, and sun protection. Bring at least one bottle of 1.5 lts. drinking water per person. 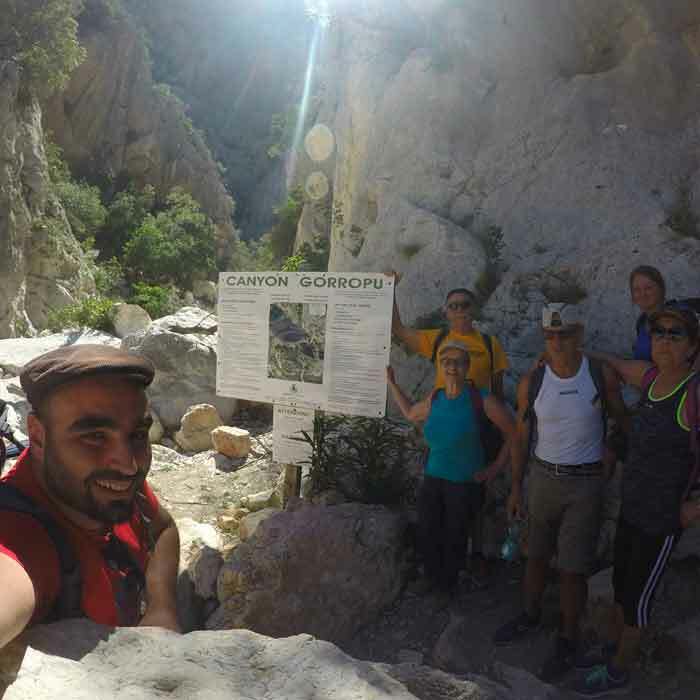 We loved hiking taking Piotr and his family around Sardinia on a slow tour! Read what he says on his great review on Tripadvisor about his Sardinian Slow Experience with our tours.